ARLINGTON—The first quarter was eventful as promised. At the half Galena Park North Shore lead in the 6A State Championship game 29-20. Another quarterback keeper to the NS 23 brings the Panthers back into the redzone. 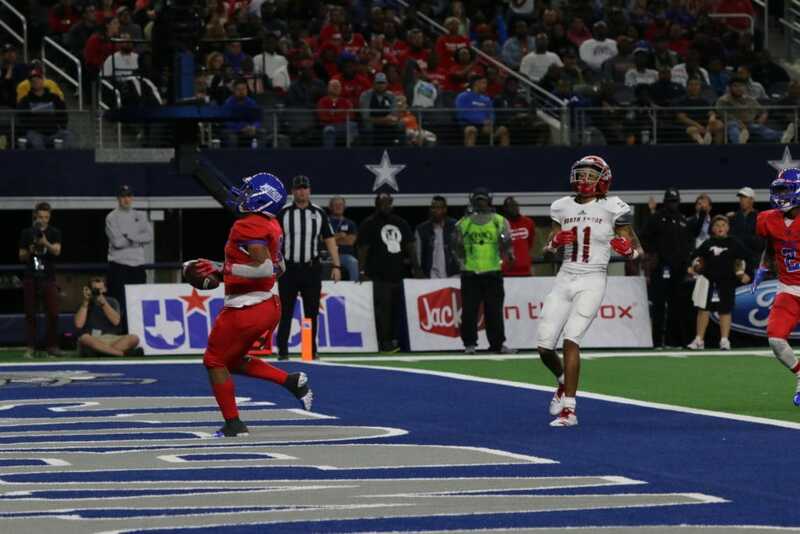 A handoff puts RB Trysten Smith in the end zone and brings Duncanville into the lead 10-7. Can Jackson win this state title on sheer willpower alone? Despite being counted out by some sports analysts the Duncanville Panthers are making a valiant effort to answer every score or break out run that the Galena Park North Shore Mustangs. At the half the score is more than some teams gain in an entire game. 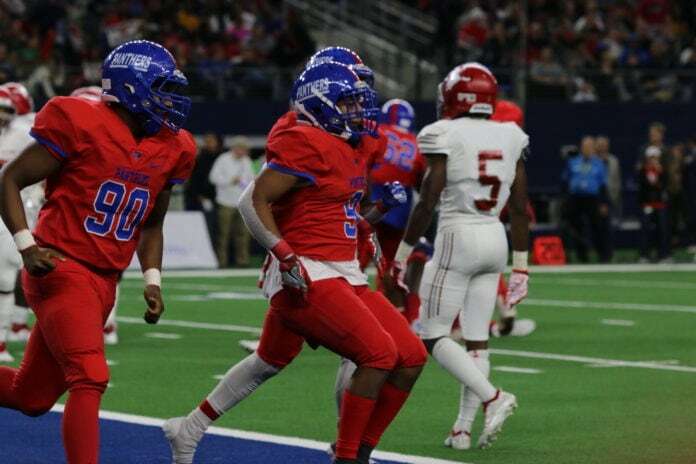 At this pace the UIL 6A Division I Championship is set to be a shoot out.